The Marshall University Diversity, Equality, and Inclusion Scholarship was established in February 2018 by the President’s Commission on Diversity, Equality, and Inclusion for the purpose of awarding students who are enrolled at Marshall and meet the scholarship eligibility requirements. The recipient(s) shall be in good academic standing with a 3.0 GPA or higher, who is a full-time student in an undergraduate program, and has demonstrated contributions to diversity, equality, or inclusion initiatives, in the area(s) of racial or ethnic diversity, sexual orientation or gender identity, disability, veteran status, and/or other areas underrepresented or otherwise important to diversity, equality, and inclusion. This is a nonrenewable scholarship. The Office of Student Financial Assistance shall make applications available and select recipient(s). The fund will become endowed once a minimum of $15,000 is received. 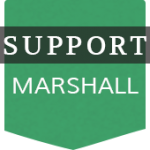 Should the endowment level not be reached or the purpose for this fund no longer exist at Marshall University, or changes in the law impact the tax exempt status of the Marshall University Foundation, the Board of Directors of the Foundation may designate a purpose most consistent with the original intent of the donor. TO DONATE, please click on the “Support Marshall” tab above or click here. Once on the Donate page, scroll down to indicate your level of support. Please indicate that you would like your support to benefit “other” and state the Diversity, Equality, and Inclusion Student Scholarship in the comments section.